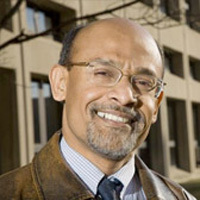 Dr. Razi Nalim is Executive Associate Dean for Research and Graduate Programs at the School of Engineering & Technology in Indianapolis. His experience in industry, academia, and government includes graduate education, technology Research and Development project-based learning, clean energy, and public outreach. He has been funded by the National Science Foundation to disseminate project-enhanced active learning approaches in engineering. His scientific work has led to six patents, and over 100 publications, supported by over $10 million in grants from NASA, NSF, Rolls-Royce, and other sponsors. He helped found laboratories at both IUPUI and Purdue University, has launched a new startup to commercialize his research. He served overseas as a Fulbright Scholar and NATO scholar, and has lectured widely in Asia and Europe. Dr. Nalim has been awarded the Abraham Max and Frank Burley Distinguished Professorships - his School's highest honors for research and service accomplishments. He is an Associate Fellow of the American Institute of Aeronautics and Astronautics.